The Bahamas Historical Society invites its members and interested persons to attend their ANNUAL GENERAL MEETING (AGM) on Thursday, 27th APRIL, 2017, at 6:00pm. Held at the Bahamas Historical Society headquarters on the Corner of Shirley Street and Elizabeth Avenue, Nassau, Bahamas. The Bahamas Historical Society & Museum will hold an important general meeting on Thursday, November 17th, 2016 at 6:00p.m. at the Bahamas Historical Society headquarters on Shirley Street & Elizabeth, Nassau, Bahamas. Topic: General Meeting to discuss damage to The Society by Hurricane Matthew. All members, interested persons and the general public are invited to attend. Nassau, Bahamas - The Bahamas Historical Society will hold their next talk, "First Rat in the Hole Tail Cover: Roots of Psychocultural Obstacles to National Development" by Patricia Glinton-Meicholas on Thursday September 29th, 2016 at 6pm. 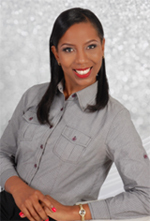 Patricia Glinton-Meicholas is a graduate of the University of the West Indies and the University of Miami. 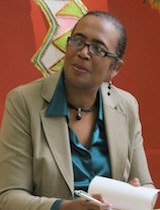 She is an educator, author, poet, cultural critic and avid researcher of Bahamian history, culture and arts. She was the first woman to present the Sir Lynden Pindling Memorial Lecture and the first Bahamian writer to win the Bahamas Cacique Award for Writing. Nassau, Bahamas - The next Bahamas Historical Society talk will be held on Thursday, May 26th at 6:00pm and will feature The History of The Bahamas as a Member State of the United Nations with Davidson Hepburn. The editorial board of the Journal of The Bahamas Historical Society is sending out a call for papers for the 2016 journal. The deadline for submission of articles is September 1st 2016. The Bahamas Historical Society, a non-profit Bahamian association founded in 1959 to perpetuate Bahamian history, will hold its Annual Fundraising Luncheon on Thursday, May 19, 2016, at 12:30p.m. for 1:00p.m., at the world famous Nassau Yacht Club, East Bay Street, Nassau, Bahamas. Nassau, Bahamas - On Thursday 31st March at 6pm the Bahamas Historical Society presents Dr Portia Jordan who will talk about Herbal Medicine and Home Remedies. 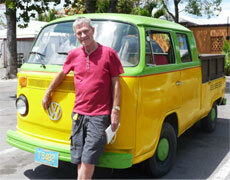 Nassau, New Providence - On Thursday 25th February at 6pm Allan Murray will present his new book,"The Colourful History of The Bahamas" during the next Bahamas Historical Society Talk. Nassau, Bahamas - Ever wondered what the map of Nassau looked like in 1770 or exactly how Spain invaded and occupied The Bahamas during the American Revolution? These were some of the projects four Bahamian researchers attached to the Antiquities, Monuments & Museum Corporation (AMMC) worked on in 2015. At a special presentation to the Bahamas Historical Society, young researchers Taige Adderley, Caprice Johnson, Maressa Hanna and Nameiko Miller shared their findings over the past year and discussed the next steps and future goals for their historical projects in 2016. ‘A Reservoir of History’ Commemorates its 56th Anniversary on October 5th, (1959 to October 5th 2015). Theme: “Perpetuating Our Bahamian History”Members of The Bahamas Historical Society and the public are invited to a week of events October 5th through 10th , 2015. Nassau, Bahamas - The Bahamas Historical Society is hosting the 3rd Community Conversations for the year of the Critical Caribbean Symposium Series. The Bahamas Historical Society and Museum presents, “The Long Journey to Majority Rule” on Thursday, 23rd February, 2017 at 6:00 pm. Presenting is Dr. Chris Curry, UB Professor. The Queen at 90 is a talk by Hugo Vickers which will encompass the life of the Queen, explaining how she comes to be there, her role in the constitution and the Commonwealth, and will examine the major issues of her reign of nearly 65 years. It promises to be rich in details and anecdotal by a respected royal historian, who has been fortunate to observe the Queen closely since he first met her as a teenager in 1968. 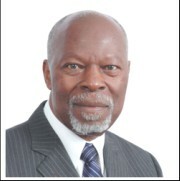 Nassau, Bahamas - Mr. Peter Gilcud will be the next speaker at the Bahamas Historical Society and will talk on ”The Underground Railroad: Linkages to The Bahamas / Seminole Indians, Andros” on Thursday, June 30, 2016, at 6:00 p.m. at The Bahamas Historical Society and Museum on the corner of Shirley Street and Elizabeth Avenue, Nassau. The Historical Role and Function of The Bahamas as an Entrepôt. Nassau, Bahamas - The public is invites to this free Bahamas Historical Society talk on "Real and Authentic Bahamian Ghost Stories" with Mr. Alphonso Smith, Jr. October 29th, 2015 at 6:30pm. The published author will also do a book signing. The museum is located at #28 Shirley Street & Elizabeth Avenue. Nassau, Bahamas - A reminder of our September talk: First talk of the 2015/2016 Season which is open to the public. Nassau, Bahamas - Join the Bahamas Historical Society for a free and exciting panel presentation and discussion on: The Life and Times of Frederick Alfred Munnings Sr. OBE a.k.a. 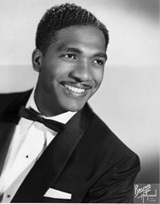 “Freddie Munnings, the international entertainer and vocalist, recording artist, band leader, the entrepreneur, civic activist, a union founding father, visionary statesman and owner of The World famous “Cat & Fiddle” Night Club. Errol Strachan, Raphael Munnings and Fred Munnings & Other Guest Presenters with Moderator: Andrea P. Munnings-Major. You are all invited to attend this historic event on Thursday June 25th. Nassau, Bahamas - The Bahamas Historical Society invites the public to a free lecture on Thursday, May 28, 2015, at 6:00pm at the Society’s Headquarters. Members are urged to attend. Officers for 2015/16 will be elected. Annual membership dues will be renewed. Topic: “The Loyalists in The Bahamas”. Presenters: Vera Chase and Michelle Turnquest. Place: The Society’s Headquarters. Great information for students. Tickets are on sale for The Bahamas Historical Society’s Annual Luncheon and Fashion Show fundraiser.